Disability groups are eagerly awaiting the public release of the Final Report by the Productivity Commission into Disability Care and Support, which was presented to the Federal Government on July 31st. The Productivity Commission was asked by the government to undertake a public inquiry into a long-term disability care and support scheme, with the findings of the inquiry delivered to Assistant Treasurer Bill Shorten on Sunday. Jan Daisley, President of the disability rights and advocacy organisation, People with Disability Australia Inc. (PWD) says she expects the release of the report will be a landmark occasion for all people with disability in Australia. Daisley says releasing the report and its final recommendations as early as possible – which the government has committed to do – is vital for the disability sector, as it will allow the sector to begin working out the detail and advocating for the implementation of a National Disability Insurance Scheme (NDIS). The draft report, released in February this year, recommended the establishment of a National Disability Insurance Scheme. The draft report – Disability Care and Support – said an ‘entirely new model’ for providing support and services for people with a disability is needed, identifying the current disability support system as underfunded, unfair, fragmented and inefficient. The draft report proposed two schemes to address these flaws – the National Disability Insurance Scheme (NDIS), and a smaller scheme to cover people’s lifetime care and support if they acquired a catastrophic injury from an accident. The report said the National Disability Insurance Scheme (NDIS) would be like Medicare in that all Australians would know that they or their families would get long-term care and support if the acquired a significant disability. Presiding Commissioner for the inquiry, Patricia Scott said the Commission’s preliminary estimate is that the additional cost of the big scheme (NDIS) would be around $6 billion per annum. The report recommends the rollout of the schemes to begin in 2013-14. The Victorian Government has offered to trial the National Disability Insurance Scheme in 2014, to test out the concept ahead of the proposed national roll-out in 2015. It is expected that the final report handed to the Government this week will set out a timetable for the trial and name Victoria as the host state. Victorian Premier, Ted Baillieu announced earlier this year the establishment of a taskforce to advise the Government on the establishment of a new National Disability Insurance Scheme, and a National Disability Insurance Scheme (NDIS) Secretariat in the Department of Premier and Cabinet (DPC) has been set up. Baillieu said the Victorian Government was committed to a new approach to disability funding, such as an NDIS, which would introduce a no-fault universal safety net – similar to those operated by the Transport Accident Commission and WorkSafe – for people with permanent or severe disabilities. Assistant Treasurer Bill Shorten is expected to release the report along with an initial response within a week. PWD has urged all Federal Parliamentarians to support a new national disability support system, fully funded by an NDIS, which will enable people with disability to control their own supports and have greater control of their lives. Daisley says Australia needs a new system which is fair, individually focused, and which is provided equitably across the country, ensuring all people have access to funds and supports. She says this will be a significant departure from the current approach of the largely state-based system, which has proven to be inconsistent and has created vast gaps in the services and resources available to people with disability in the different States and Territories. 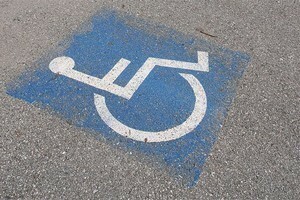 PWD says it hopes that the recommendations about Disability Support Organisations made in the Interim Report are strengthened in the final report, with greater detail about how these are to be resourced and the role that peak bodies will play in the decisions that need to be made in the lead-up to the implementation of the new system. The report comes shortly after the release of the first review of Impairment Tables for the Disability Support Pension (DSP) since 1993. The DSP has been growing steadily, with an extra 100,000 people added to the benefit over the past 2 years. It is estimated that as much as 40% of people currently receiving the DSP would not qualify under the new tables.